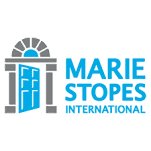 Marie Stopes Tanzania (MST) a local Non-Governmental Organization, is a social enterprise and a leading provider of family planning, sexual and reproductive health care and allied services. MST is a partner of the Government of Tanzania and a member of the Marie Stopes International (MSI) Global Partnership, which operates in over 37 countries worldwide. MST's mission is that all women and men in Tanzania will have "Children by Choice, Not Chance". The Clinical Quality Lead is a key member of the Senior Management Team (SMT) responsible for furthering MST's mission. Ensuring high standards of clinical and client care quality throughout MST is the mission-critical deliverable. S/he reports to the Director of Health Systems Management and works closely with other SMT and key team members. S/he will currently have up to 7 direct reports. The post requires frequent travel within Tanzania. Fluent English and Kiswahili, both oral and written plus IT literate (Excel, Word, PowerPoint). If you feel that you are able to meet the requirements and you are motivated enough to be part of the team. please send your CV and Cover letter detailing your suitability and why you are interested in the post, to the address below by email or postal service/courier. P. 0. Box 7072, Dar Es Salaam.